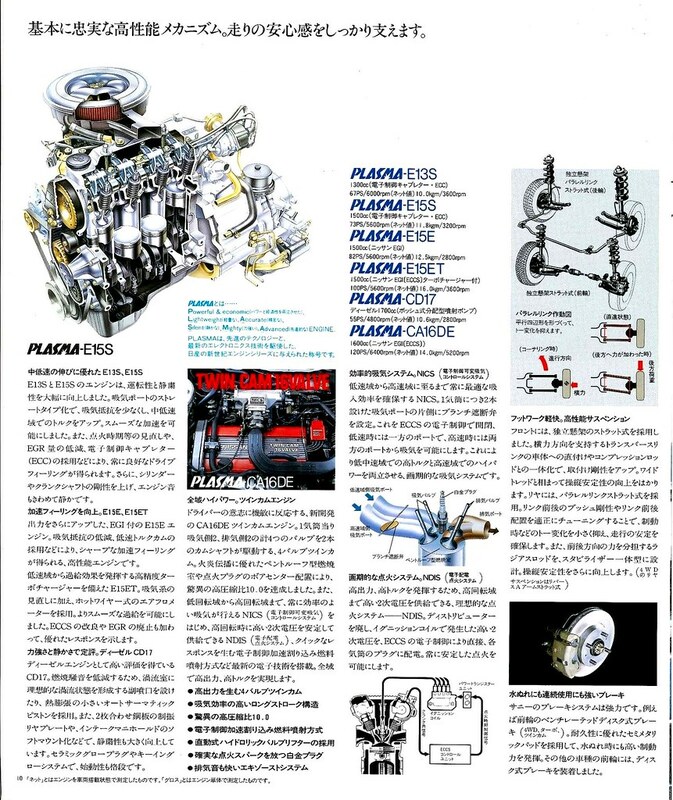 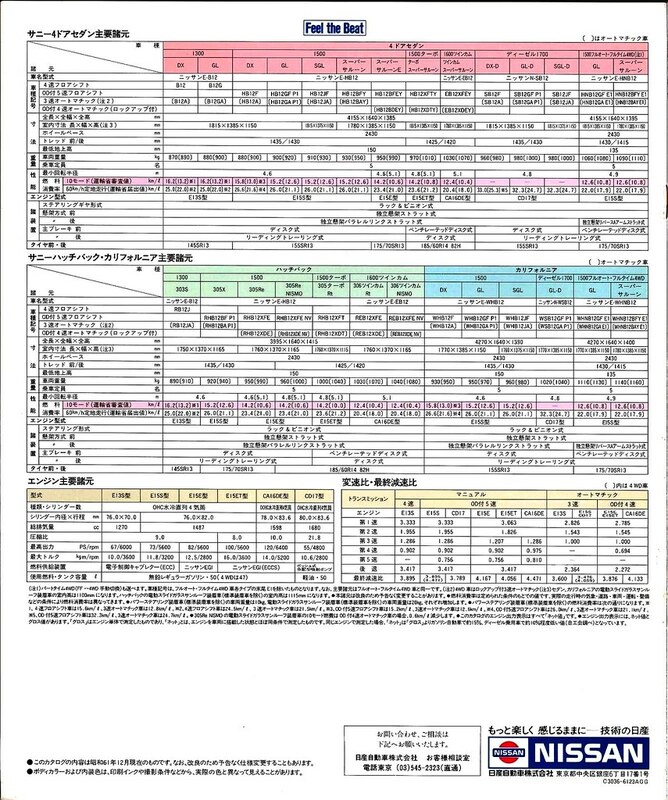 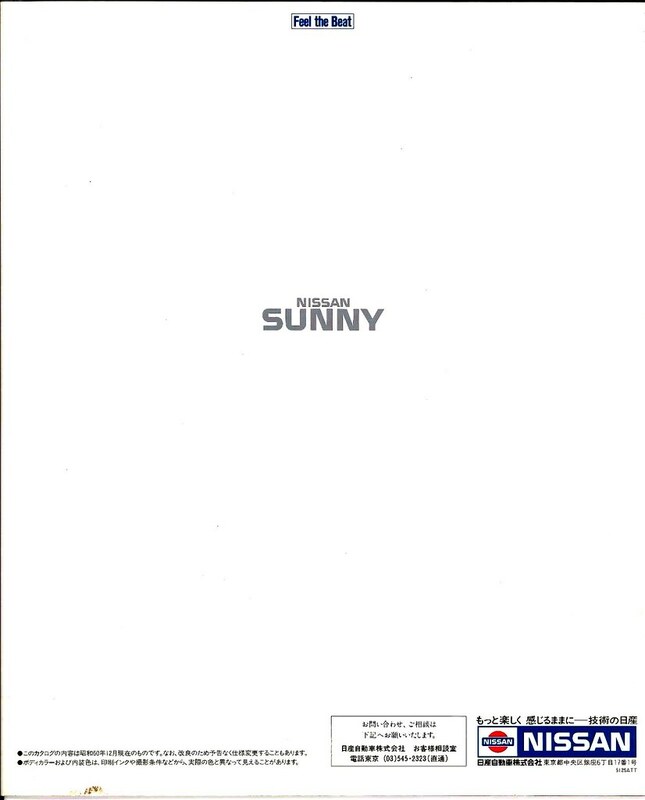 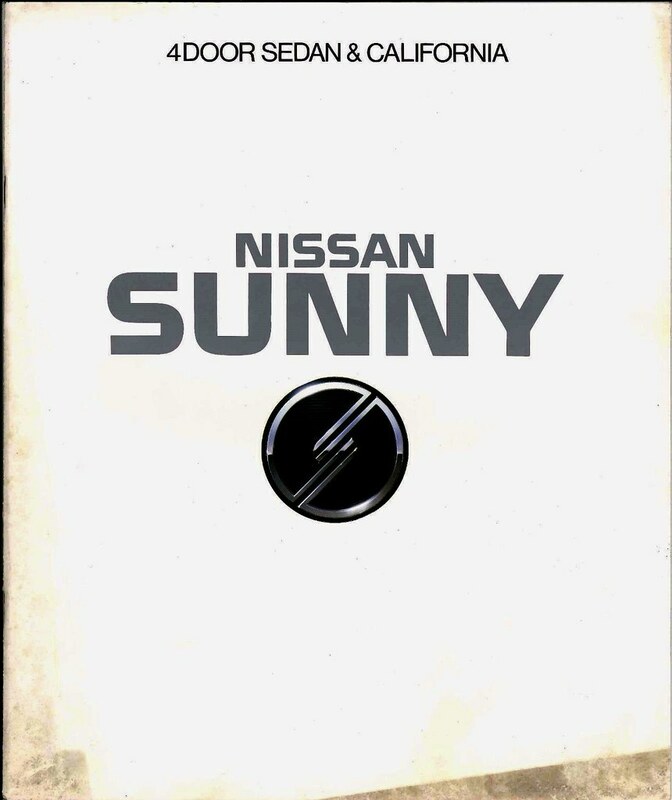 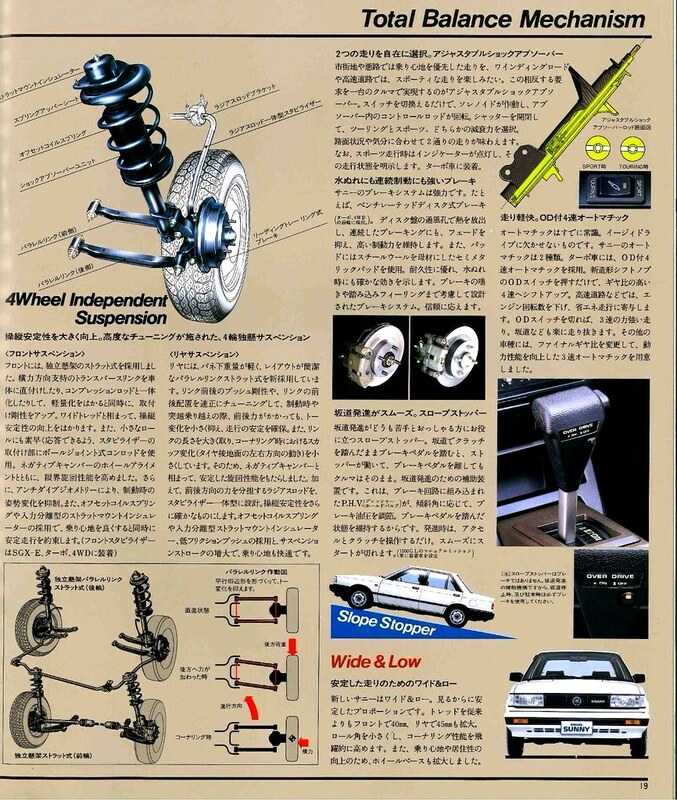 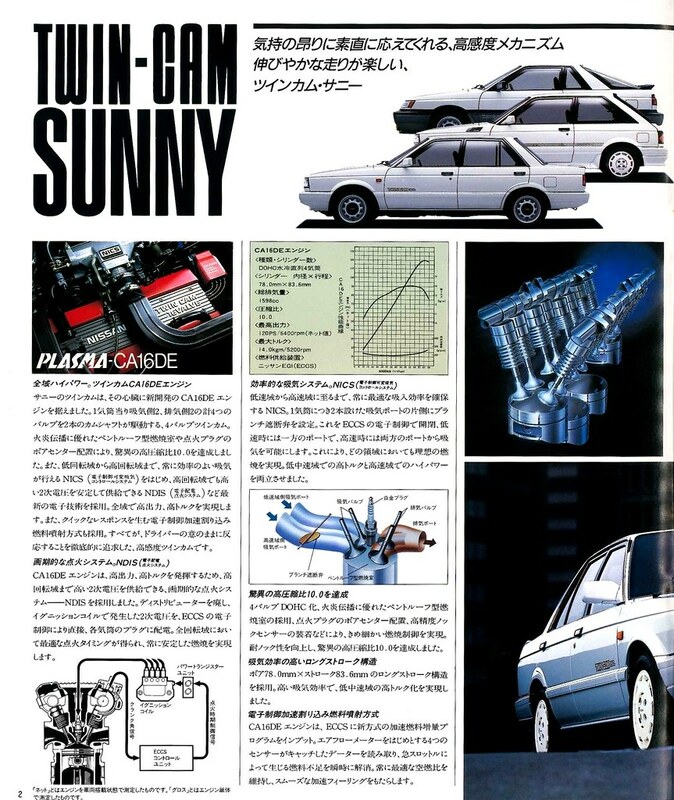 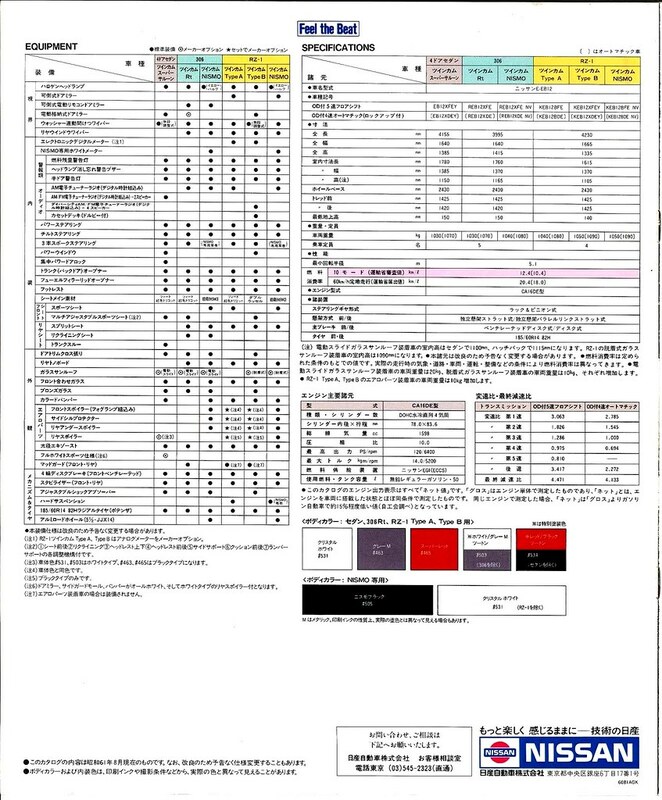 Japan - B12 Sunny brochure. 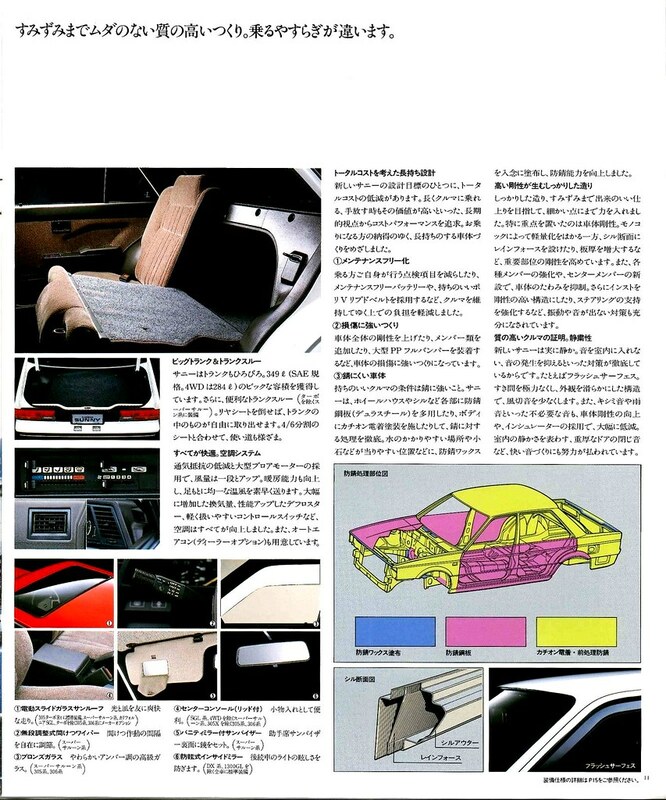 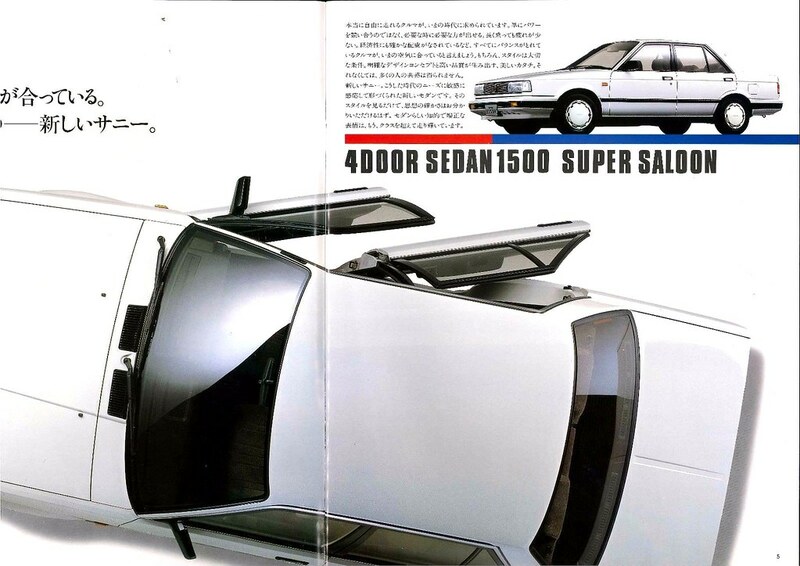 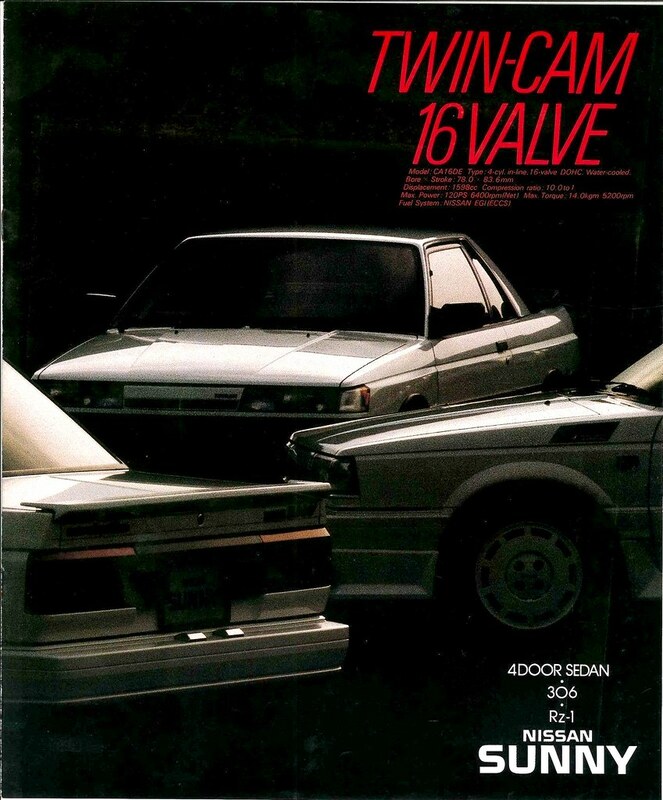 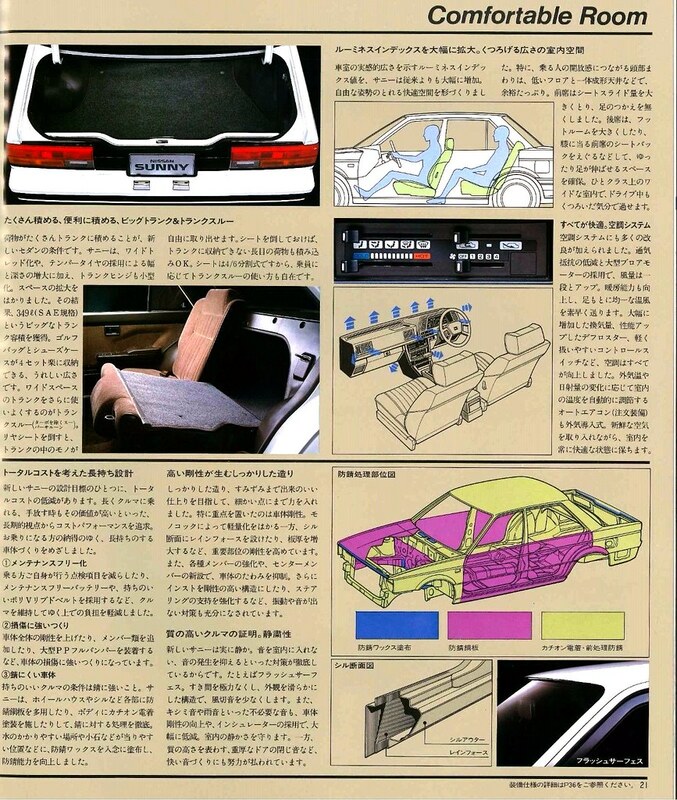 Nissan slogan "Feel the Beat" in late 80s in Japan. 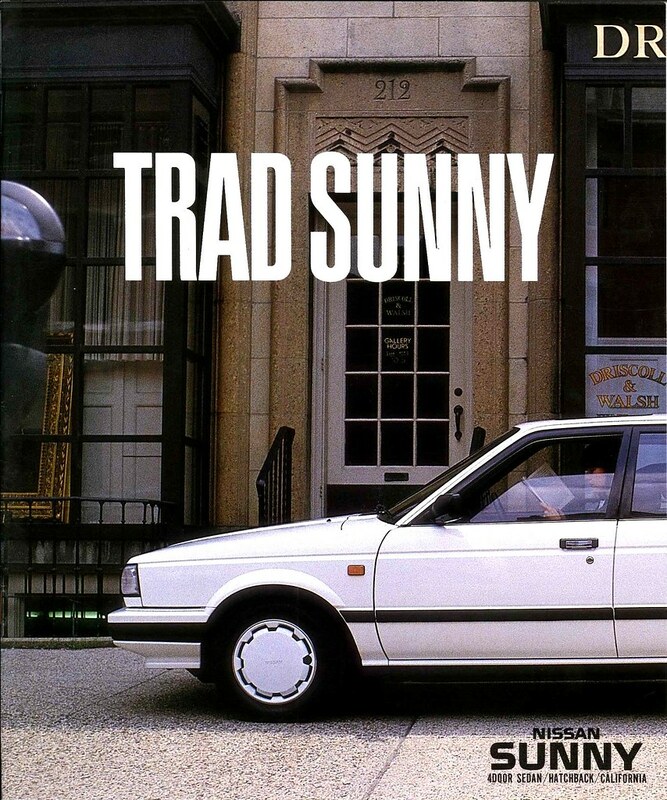 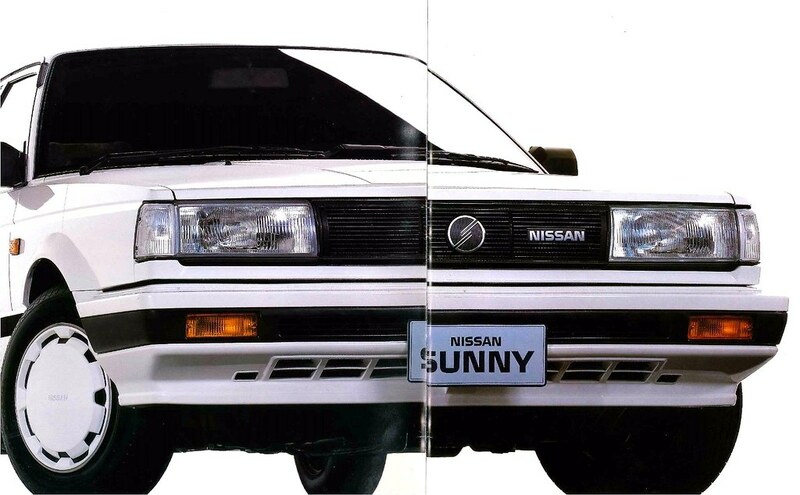 After B11 phased out from European market, a newly Sunny range introduced to Europe in late 1986: N13 saloon, 3-dr & 5dr hatckback and B12 coupe & estate but B12 saloon never brought into Europe officially by Nissan. 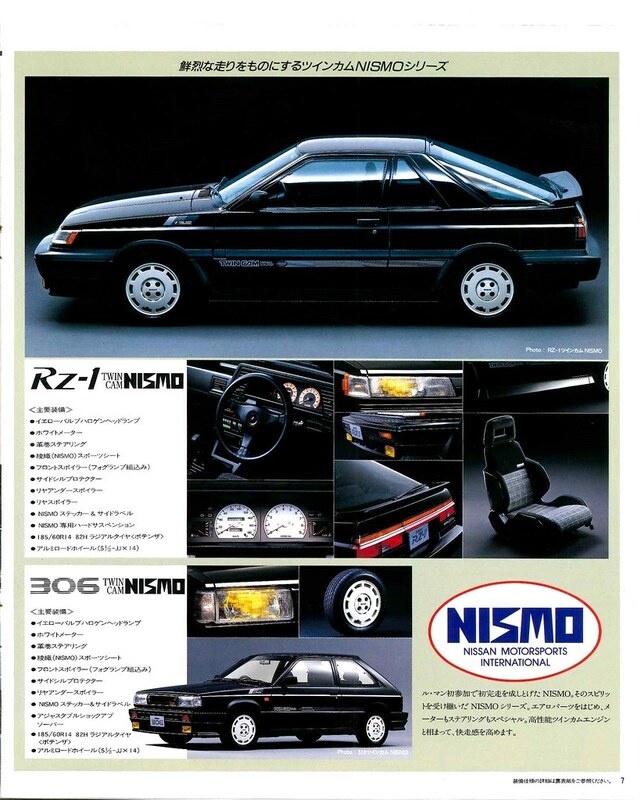 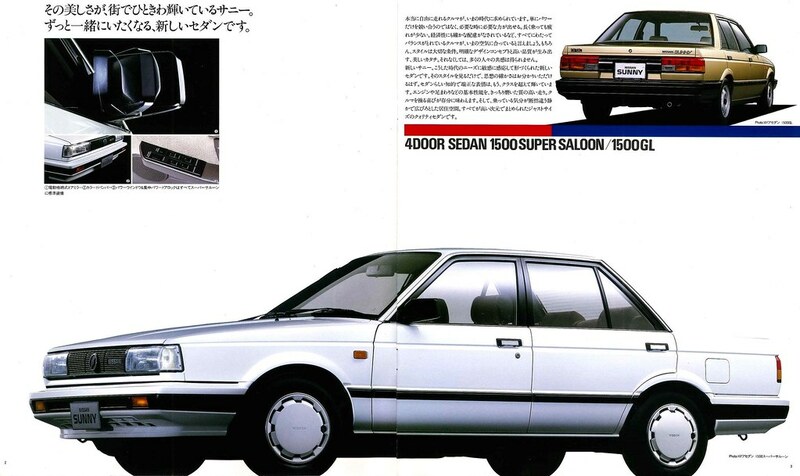 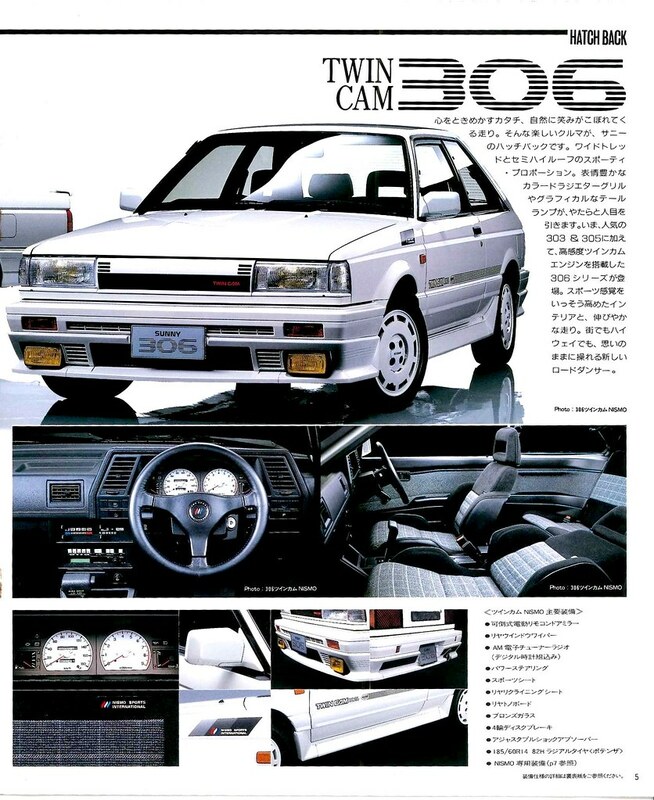 Japan - B12 saloon, RZ-1, 306 hatchback.